Need an Emergency Electrician in SW16? It’s no fun sitting in the dark, boiling water for a cuppa in a pan on the camping stove because your fuse board has tripped out and won’t reset. Or maybe you have turned the power to your Streatham home off because of an electrical burning smell. Getting a reliable and fast emergency electrician in Streatham to answer your call, and then to come straight out to you, has never been an easy task. Often the call will go to an answerphone and will not be picked up until hours later. 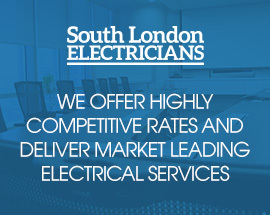 However, if you call South London Electricians, you won’t have long to wait. Your call will be directed straight to a fully qualified emergency electrician. You can discuss the electrical problem with them, receive advice on what you need to do to stay safe, and following your conversation, the electrician will arrive promptly. Our emergency electrician team is armed with the most up-to-date test equipment and so will quickly find the fault. We aim to repair electrical faults on a ‘one visit’ principle – our electricians all carry an extensive range of spares and cables in their vans to make this possible. Half of our vans are electrically powered so arriving in the small hours won’t disturb your neighbours. All of the team are local to south London and know the best short-cuts that will get them to your Streatham home a little bit faster. They all have many years of experience and are well-qualified to solve your problem at any time of day or night, on any day of the year. If you need an electrical problem solving quickly, call us. As a company, we are registered with Checkatrade and NICEIC so you know exactly what you will get – fixed rates with no hidden costs, respectful of your Streatham property, fully qualified, trustworthy and a rapid service. All of our work is guaranteed and we are fully insured. Electrical systems in the modern office are more complex than even just a few years ago. But even the best installed systems can suddenly develop a fault, causing your Streatham business to slow down or temporarily close. 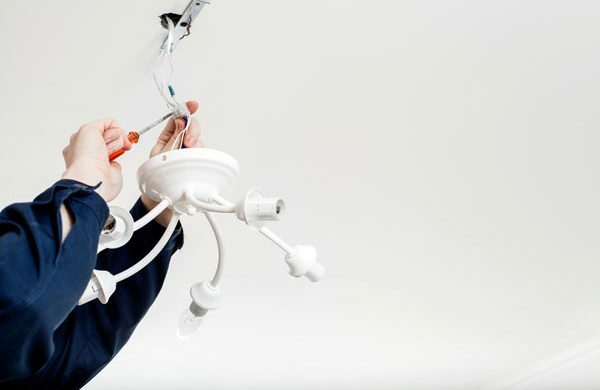 With South London Electricians at your side, you will soon be up and running again – from fixing a high voltage three-phase feed to solving why a circuit breaker keeps tripping, we have it covered. We have both domestic and commercial emergency electricians available and can therefore deal with any emergency electrical problem – consumer units, 3-phase supplies, lighting issues, faulty wiring and more.